I’ve been gone for quite a while, probably about three months. Life happens. 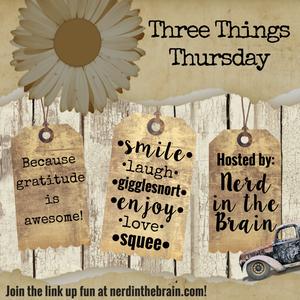 I’ve missed the weekly Three Things Thursday posts, since they usually brighten my spirit and bring a smile to my face. I’m glad to be back. 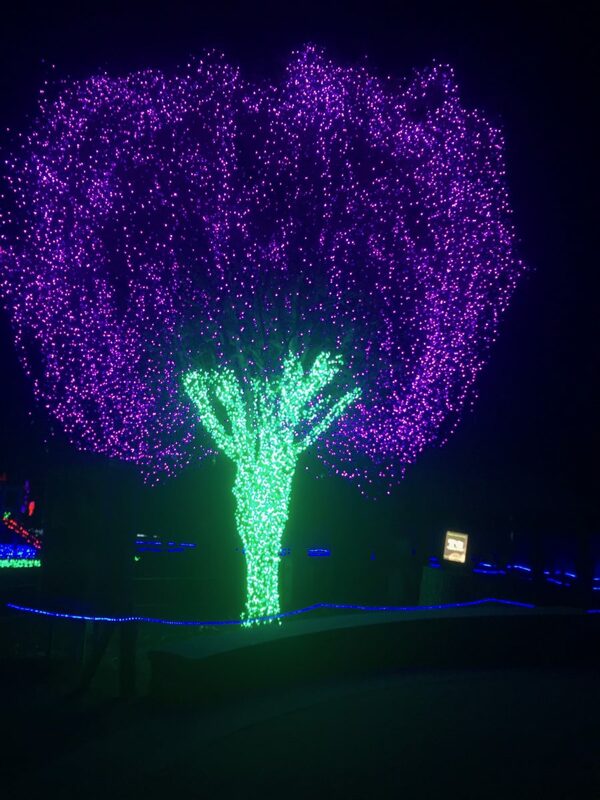 Every year the Point Defiance Zoo & Aquarium here in Tacoma dresses up for the winter with Zoolights, a gorgeous and enchanting other world painted by thousands of colored lights. Here are three of the best photos from this year’s visit. 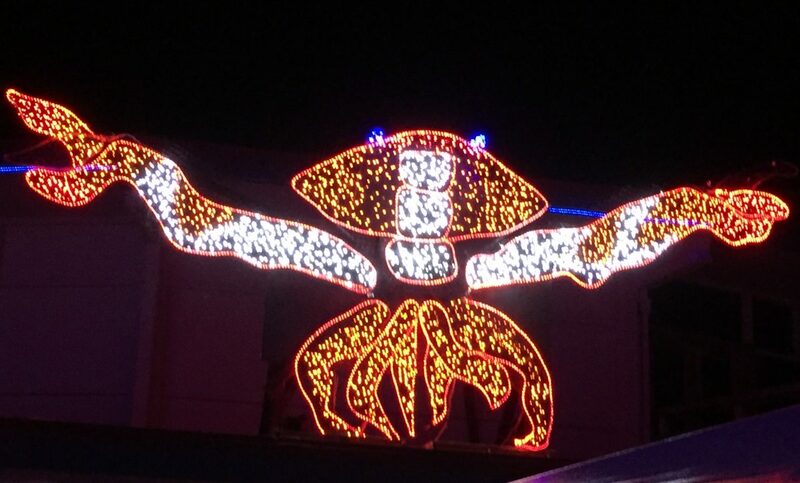 Since this is a static photograph, you can’t see this as the dancing crab that it really was, with its claws alternately opening and closing. But I’m still fond of it. I’m not sure who named this the tree of life or why it was so named, but if I had to pick one overall favorite display, this would be it. Perhaps I love it so much because purple is my favorite color. 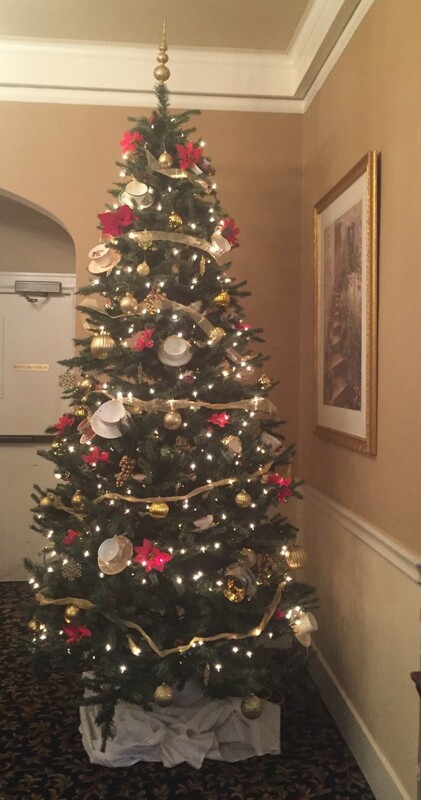 Whatever the reason, this is the centerpiece that draws me every year. 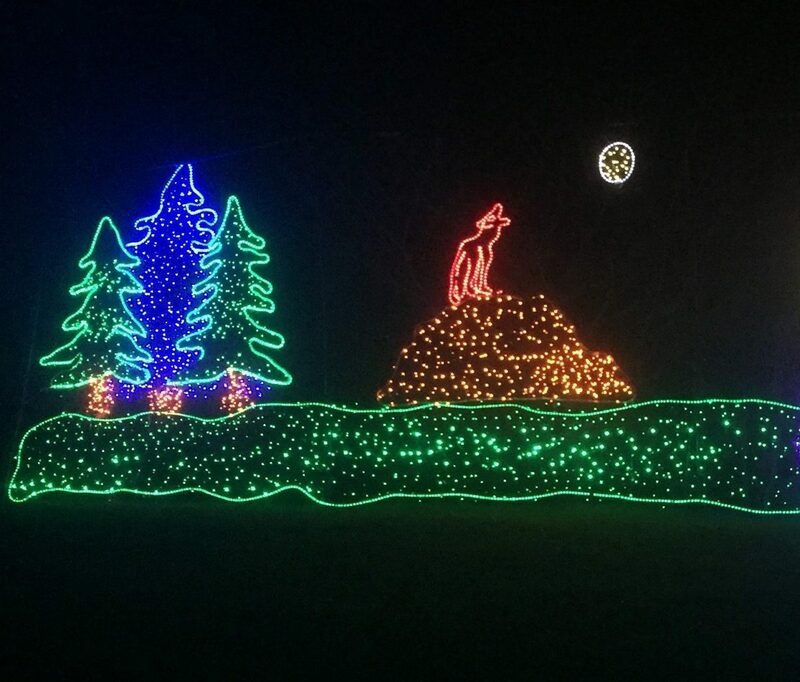 The Point Defiance Zoo & Aquarium participates in the red wolf restoration project, and this annual display illustrates that participation. In past years we had to photograph this display from quite far away, and the pictures always came out blurred. But this year some of the traditional exhibits had been rearranged on the grounds. We were able to get much closer to the howling wolf, and this photo came out better than previous attempts. I hope Zoolights brightens up your day as much as it brightened up my night. 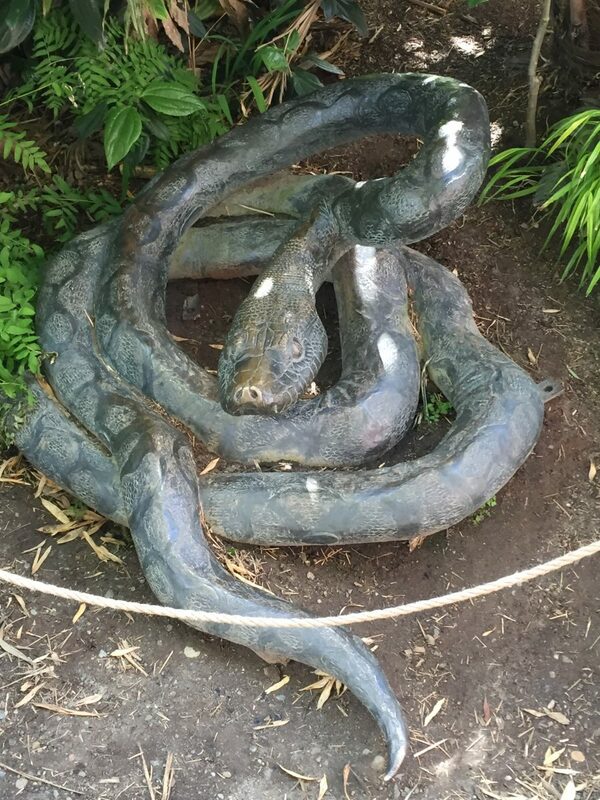 We discovered this snake at the Point Defiance Zoo & Aquarium. It looks so real that I was taken aback the first time I came upon it in the Asian Forest section. A few days ago we visited the zoo again with a 3 1/2 year-old family member. Like me, she stopped in her tracks when she saw this guy. “Is it moving?” she asked. When I told her no, it was a statue, she said, “Whew!” I know exactly how she felt. 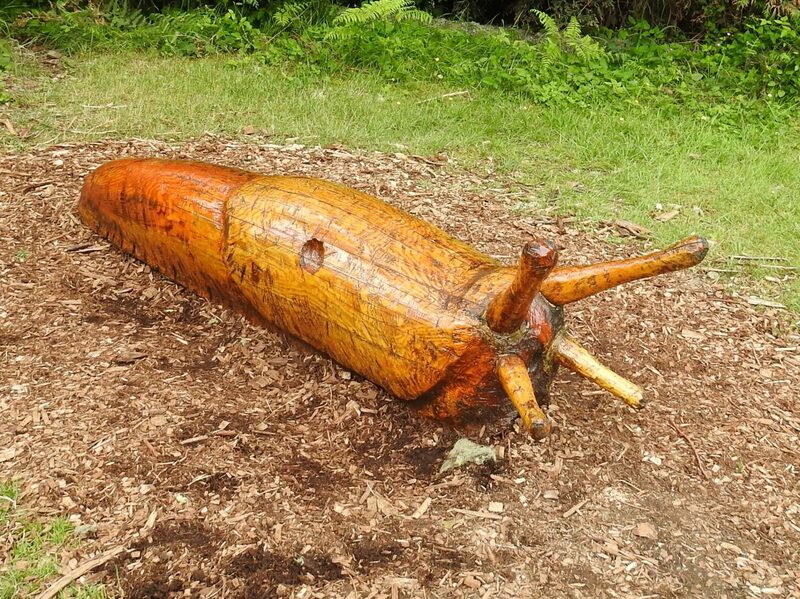 We came upon this carved slug on our most recent trip to Northwest Trek. We had never been him before. In addition to rain and a temperate climate, the Pacific Northwest is also famous for slugs, including the big banana slug. This fellow apparently arrived just in time for the annual Slug Fest, which was to be held the following weekend. 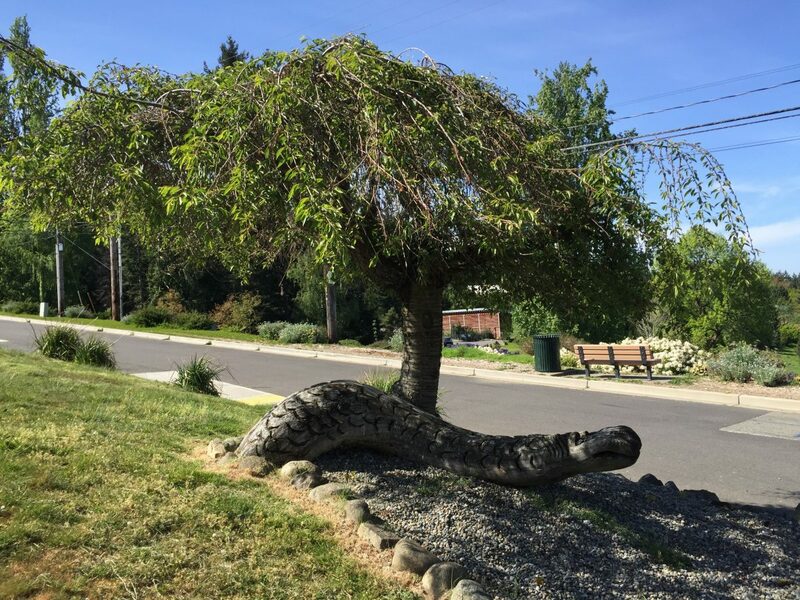 And what would a Pacific Northwest neighborhood on Commencement Bay be without its own resident sea serpent? We came across this clever use of a tree root on one of our walks. I always marvel at examples of such creativity. The record-breaking warm temperatures we had last week brought lots of people, including us, out to visit local parks. We are lucky enough to live within walking distance of Tacoma’s main park, Point Defiance Park. Point Defiance Park includes many separate gardens, including Northwest Native Plants, Iris, Rose, and Dahlia gardens. Last week’s warm temperatures also brought out spring seasonal flowers in abundance, such as the iris pictured below. 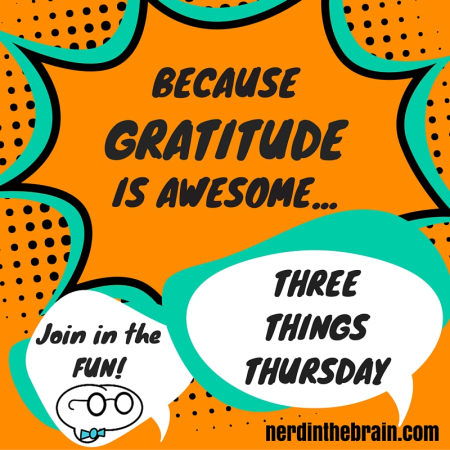 Until next week, I wish you all well! Last Saturday was the first non-rainy weekend day we’ve had in a long time. The absence of rain and a temperature in the high 50s brought lots of people, including us, to the beach area of nearby Point Defiance Park. As we walked along the beach, we watched a dog swim out to fetch a ball thrown into the water and four children work a see-saw made of a flat log placed perpendicularly over a round log at the water’s edge. A couple of weeks ago Amazon Prime released the second season of its show Bosch based on the mystery novels of Michael Connelly. 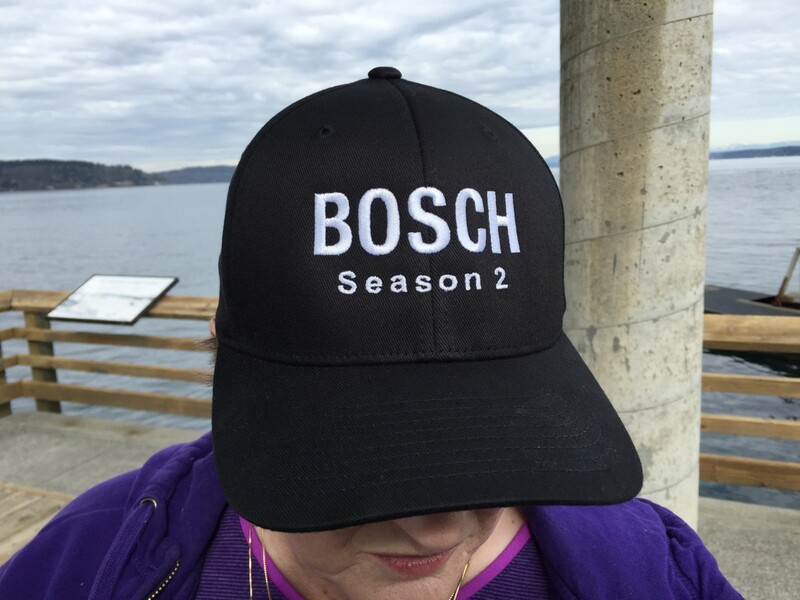 When I tweeted that we were spending the day watching all 10 episodes, I received a message from Connelly’s web master offering me a Bosch ball cap. 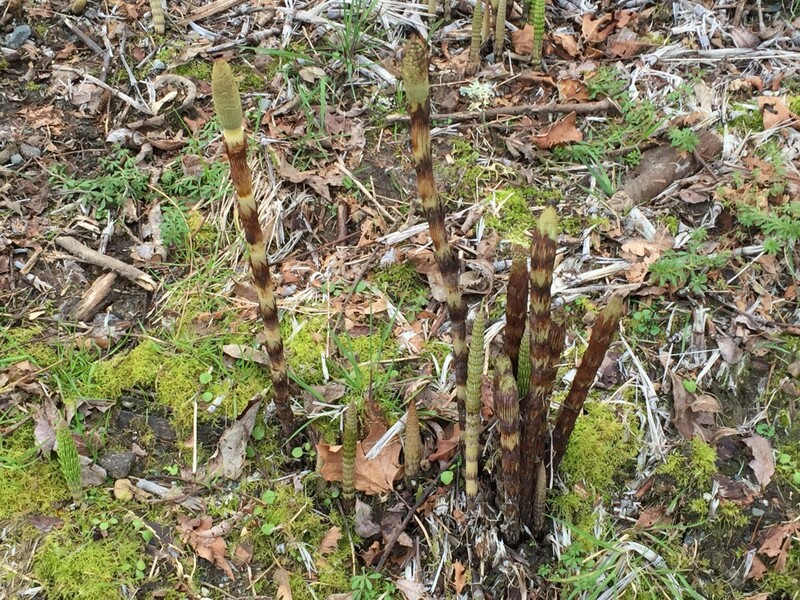 (a) Ancient Romans ate young common-horsetail shoots as if they were asparagus. They also used the shoots to make tea and as a thickening powder. (b) Common horsetail is one of the most widespread plants in the world and often turns up as a bad garden weed. 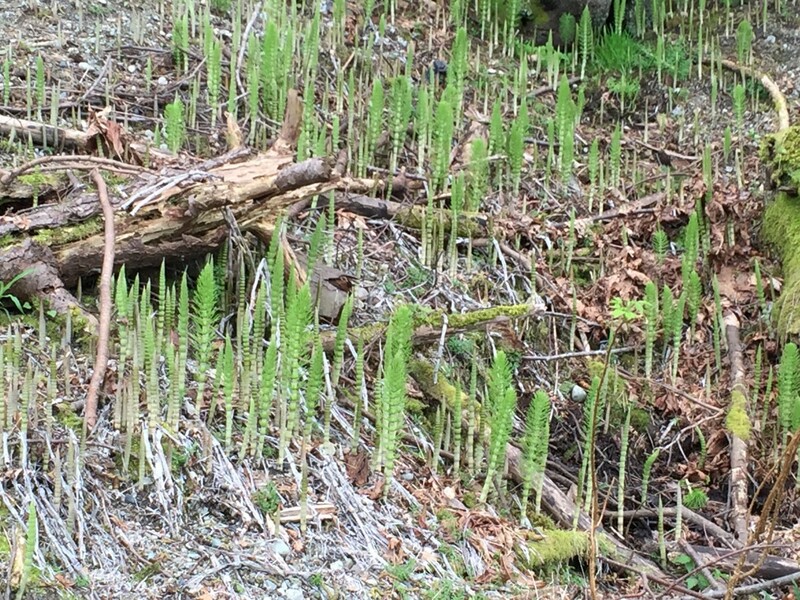 (c) Common horsetail was the first vascular plant to send up green shoots through the debris of the 1980 eruption of Mount St. Helens. 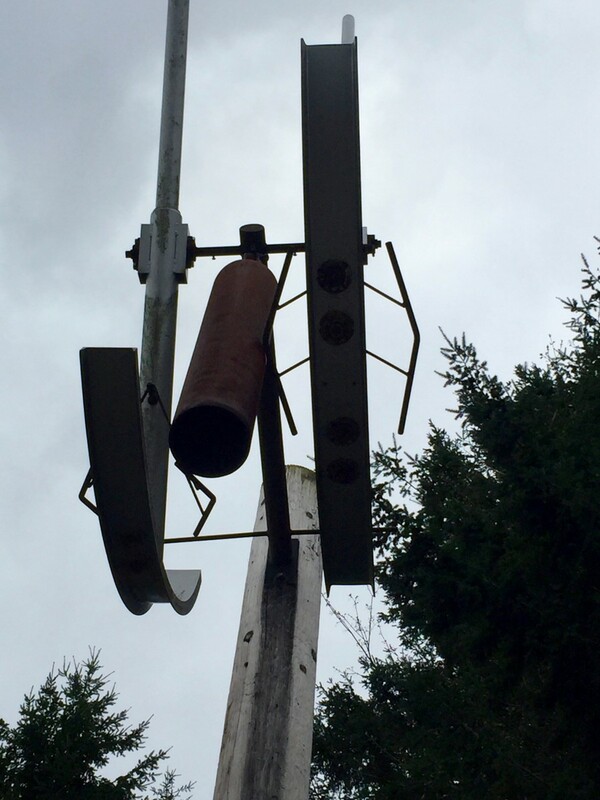 It looks as if the curved pieces swing back and forth, allowing the protruding rods to strike the clapper (the thing that looks like a long fire extinguisher). A Google search turned up no information about these things. I did, however, discover that fog bells have been used since about 1850. If that’s what these things are, fog gongs might be a more appropriate term. If anyone knows what these are and how they work, I’d love to hear from you in the comments. In the meantime, have a good week. When in Ireland a couple of years ago, we had Guinness beef stew, a dish cooked with a generous helping of Guinness Beer. In fact, a splash—or even a big glug—of beer can improve the flavor of a lot of things. Even doughnuts. 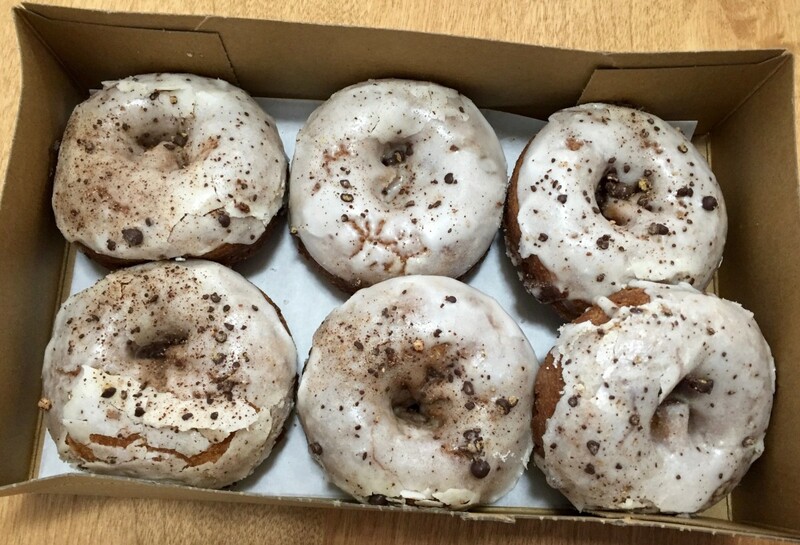 For the month of March local bakery the Original House of Donuts is adding some Grit City Porter, made by local craft brewery Pacific Brewing & Malting Co., to its traditional cake doughnut. Today was our day to indulge. We drove downtown to pick up a half dozen of these gems. The rich, malty taste that the beer gives the doughnut is offset nicely by the sweet, creamy icing. My husband and I devoured all of these quickly, as they went down nicely with some strong, extra bold coffee. Next week we plan to go back and get some of the shamrock-shaped, green-iced, Irish-cream—filled St. Patrick’s Day doughnuts. They’re not made with beer, but I’m sure they’ll be just as delicious as the porter doughnuts. NOTE: This bit contains some spoilers, so if the final episode of Downton Abbey remains unwatched on you DVR, you might want to skip down to item #3. Call me sentimental, but this is one series that I truly wanted to see end happily. And happily, it did. Everybody got the best possible ending. Edith’s happy ending—marriage to her beloved Bertie—provided the occasion to bring together a lot of the characters. Even Rose, whom we hadn’t seen for a while, arrived for the wedding with photographs of her own three-month-old baby. Mary had her own happy news, and for once she was woman enough not to try to overshadow Edith on her big day. Even Isobel and Lord Merton managed to work things out, to the delight of everyone, even Violet (Grannie, the Dowager Countess). And I’m not the only one to have a sentimental reaction. One of the reviews I read said that, on the first rehearsal of the scene in which Edith comes downstairs in her wedding dress and her father says, “You look so lovely,” both actors burst into tears. I don’t blame them. This has been a great series, and I’m glad the writers brought it to a proper closure. 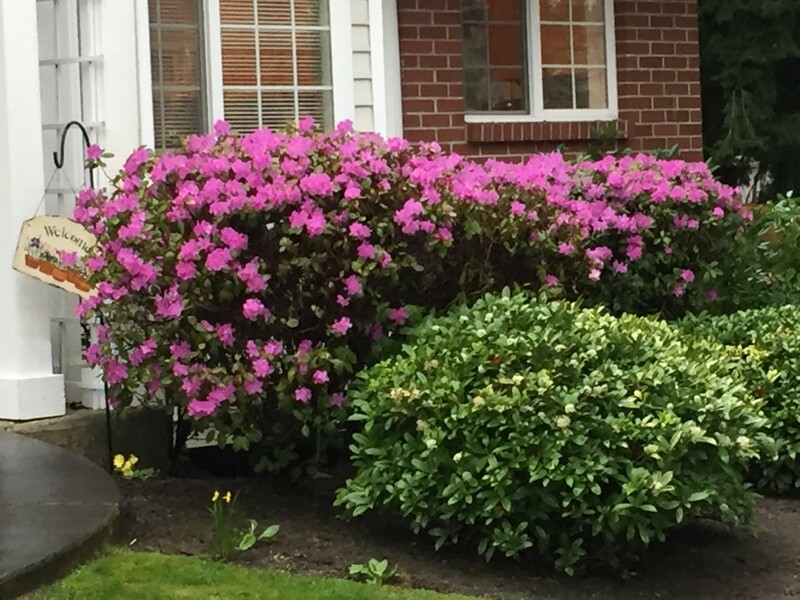 Since we get so much rain and so many dreary days here in the Pacific Northwest, it’s only fair that we get all these beautiful blooms to enjoy as compensation. 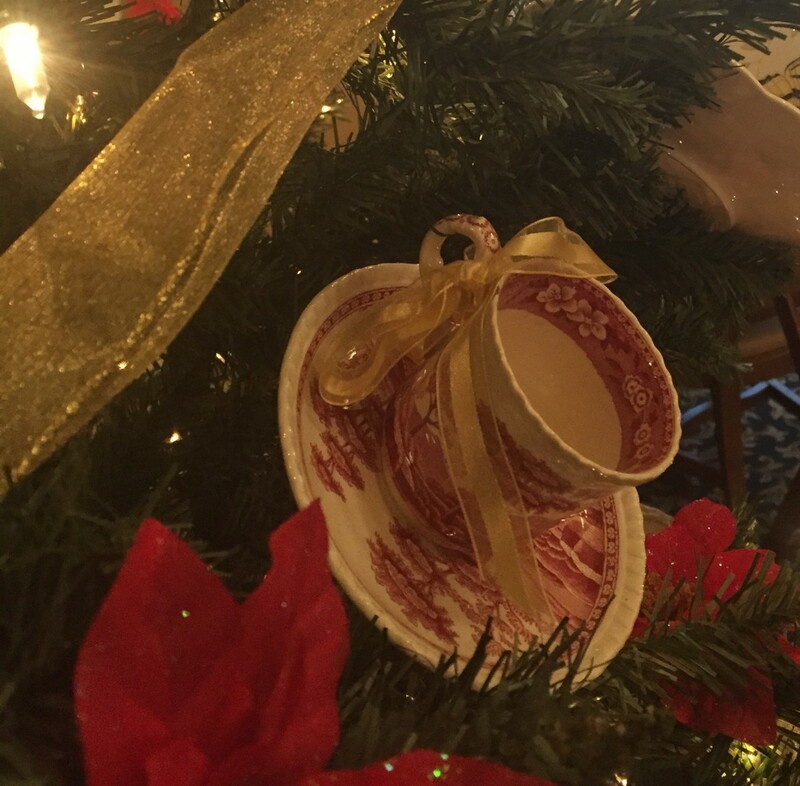 One of the dining rooms here at Franke Tobey Jones features this Teacup Tree, adorned with old-fashioned teacups glued to their saucers. We take our Seahawks football very seriously here. The 12 flag is in honor of … Well, it used to be in honor of the 12th man, but apparently some university has that phrase trademarked and the loudest fans in the NFL can no longer be called that. So now we are just The 12. But we’re still the loudest and proudest. 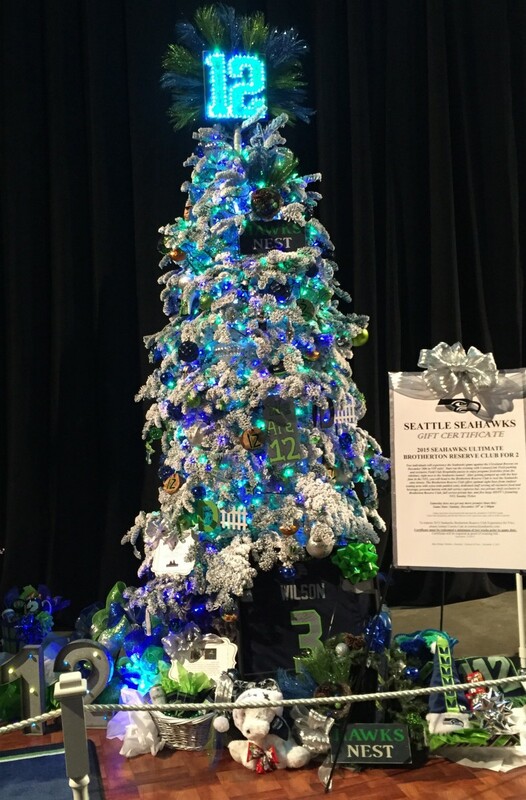 This one is also from the Festival of Trees. 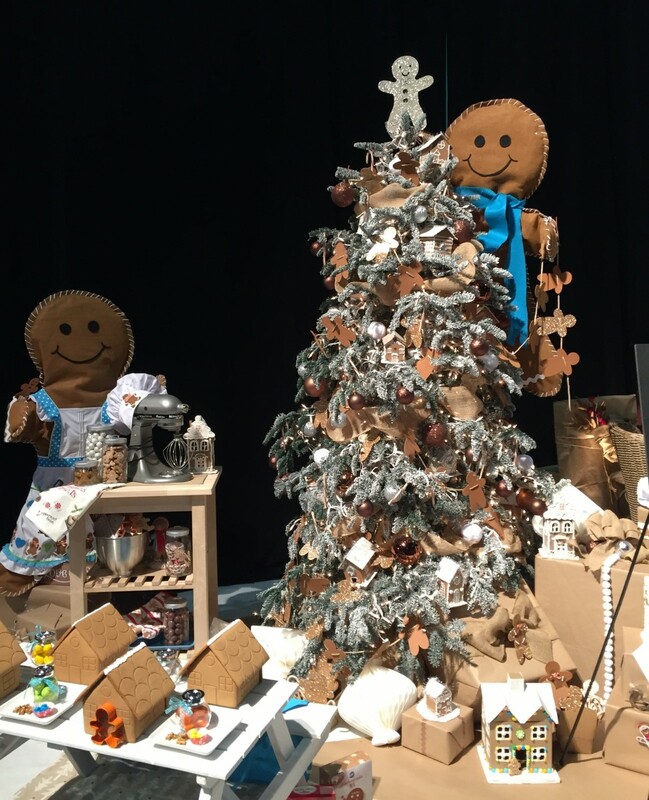 There were so many beautiful and clever trees at the Festival of Trees that I wish I could include all of them here. But I’m limited to three, and I always follow directions. For all who celebrate Christmas, I wish you a very cheery Christmas Eve. 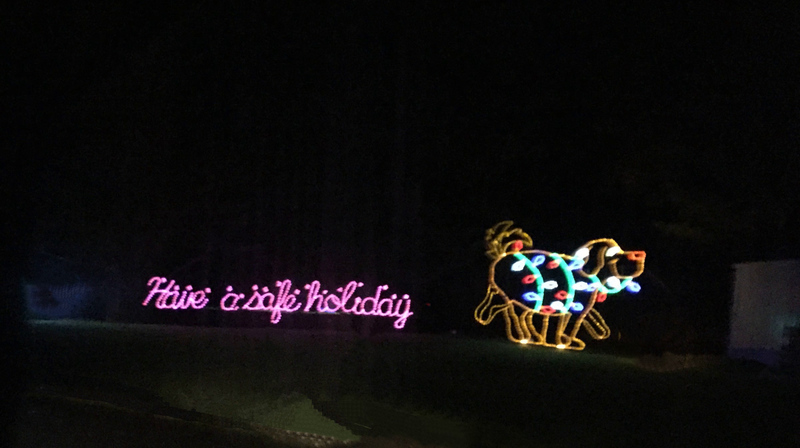 Ever since moving to Tacoma we have heard about the huge, beautiful holiday lights display in Pierce County’s nearby Spanaway Park. 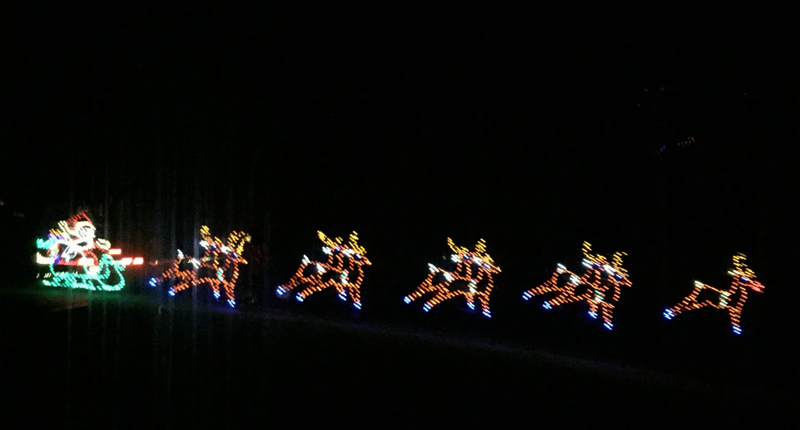 When our retirement community offered a bus trip to see the lights, my husband and I immediately signed up. 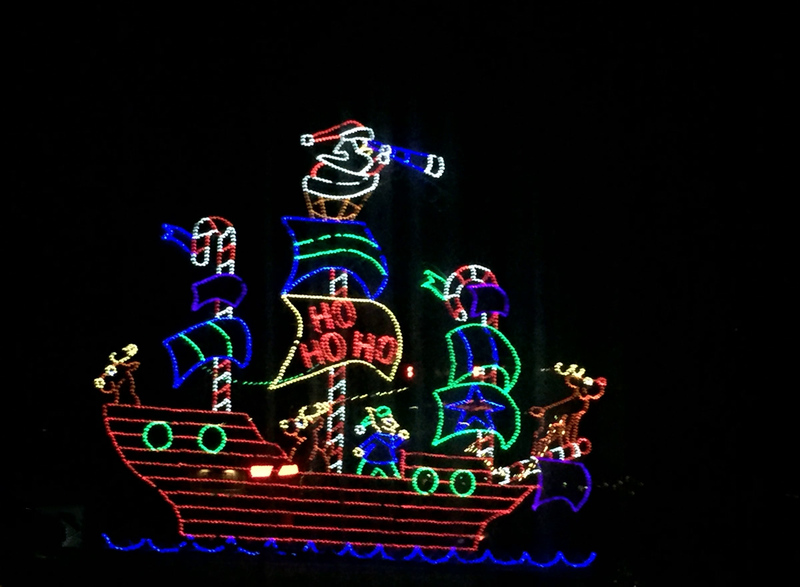 Fantasy Lights runs annually from Thanksgiving through New Year’s Day. 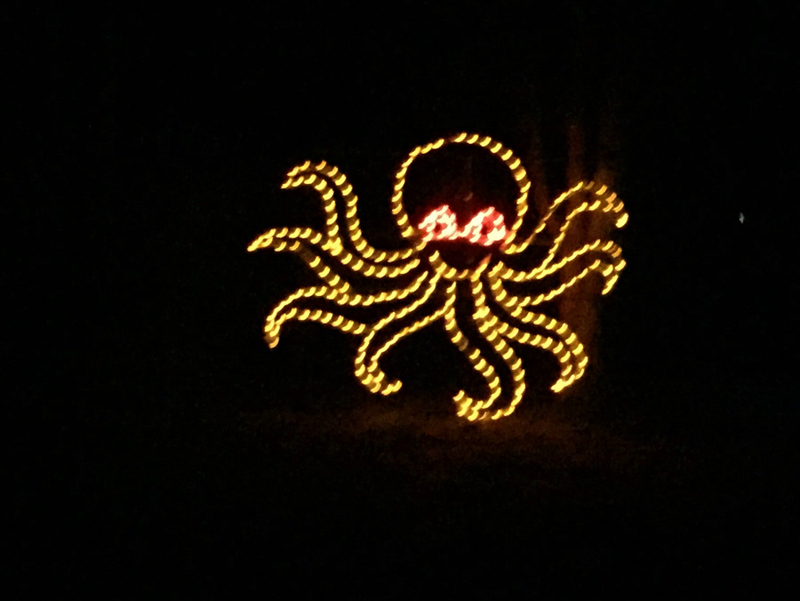 It features more than 300 separate installations of lighted art spread out along a two-mile roadway that winds through Pierce County’s Spanaway Park. The event has its own Facebook page, although the latest activity there is from December 2014. At that time several people posted that they would not be attending because the nativity scene had been removed. Also, the prices listed on that page are apparently also from a year ago, as they have gone up slightly. One of the big draws of this event is that you drive through rather than walking, which makes it a perfect activity for a retirement community. 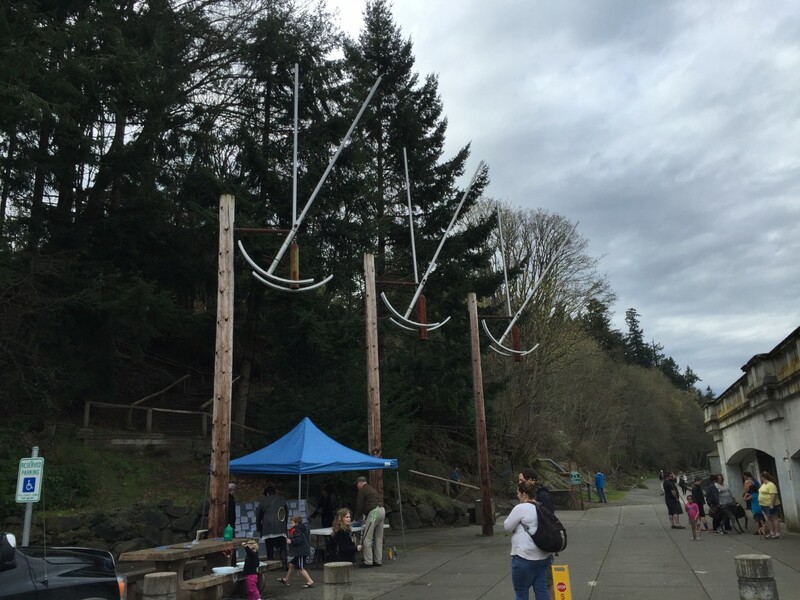 The Pierce County official web site warns that there can be a wait of an hour or more to get into the park on weekend nights and advises a mid-week visit instead. We went on Tuesday night. Our bus driver tuned in to the FM station that broadcasts holiday music performed by a local high school to add to the holiday experience. Your vehicle is moving, albeit slowly. It’s dark, and you’re too far away to use flash. The road winds back and forth, which means there’s always another display farther away behind the one you’re trying to shoot. When you try to take photos out of one window, you also have reflections on the window of displays on the other side of the road. Individuals in cars can eliminate this problem by opening windows, but people on our bus didn’t want to do that. We saw another solution to this problem in the car ahead of us: They opened their sunroof and stood up to take pictures. For all of these reasons, my photos aren’t very good. Because they look better at smaller sizes, I’ve kept most of them smaller than my usual blog photos. 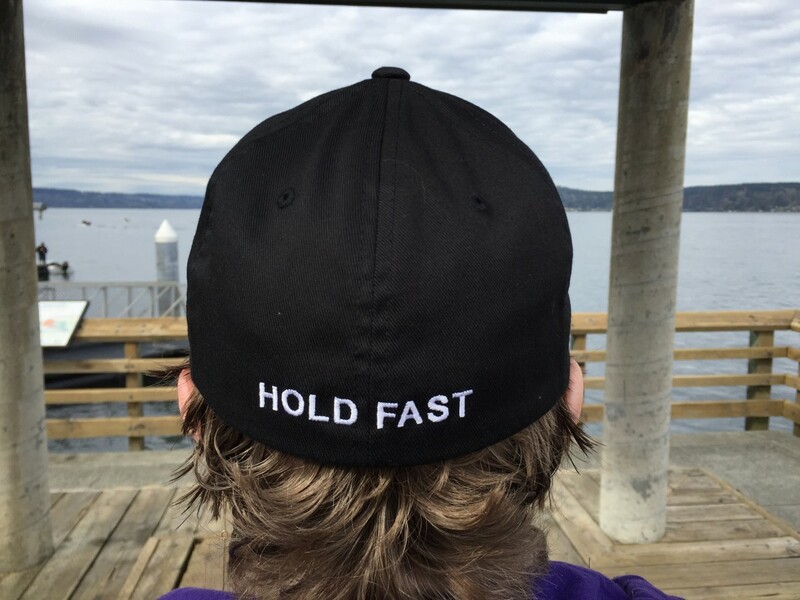 You can click on photos to see a somewhat larger version, but you probably won’t like it any better. He’s not particularly Christmasy, but I’m partial to the Giant Pacific Octopus, which is native to these parts. This is the best one of the many photos I took.